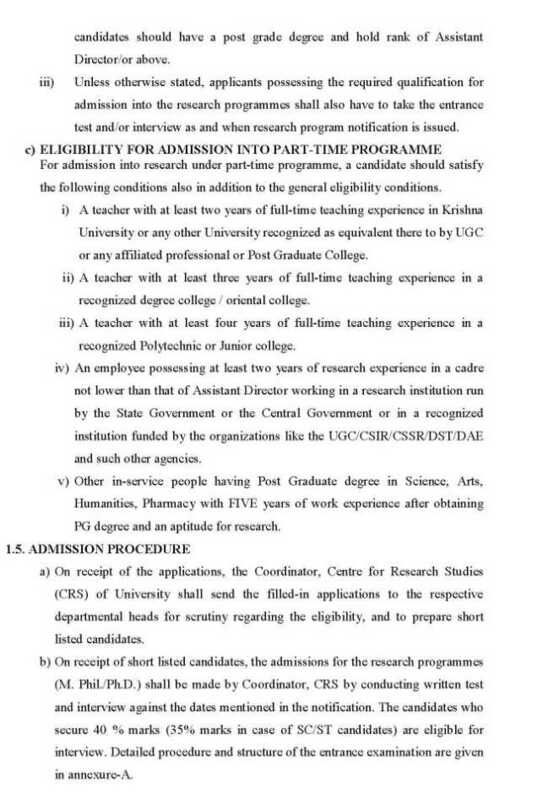 Give me PhD course details offer by Krishna University Machilipatnam? 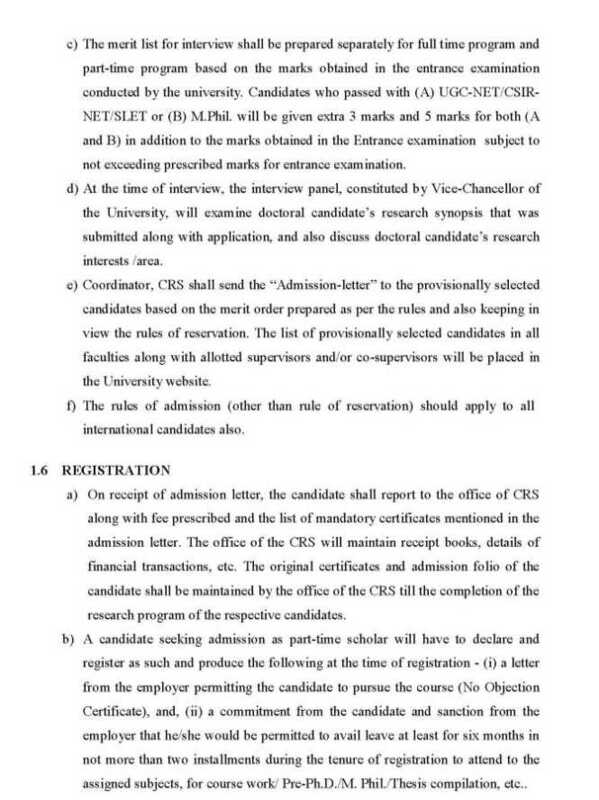 Candidate should have master degree in relevant discipline from any recognized university. 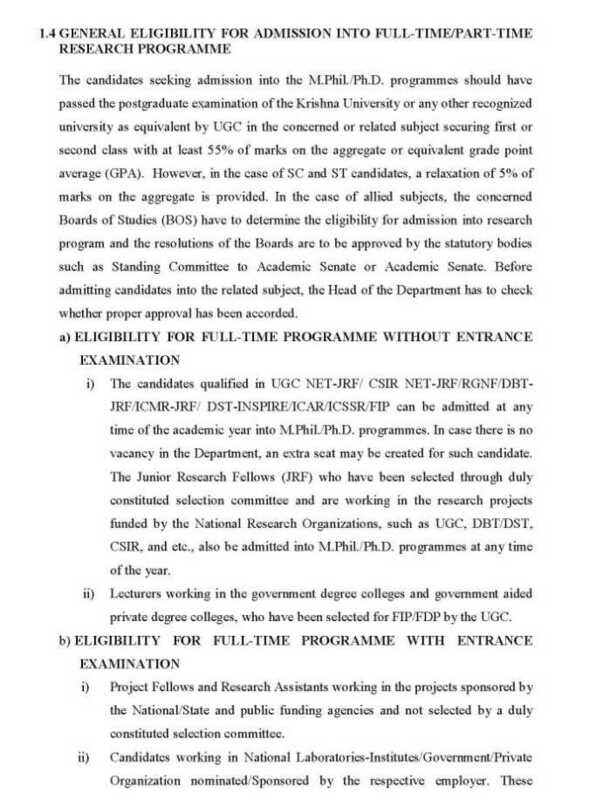 Candidate who have qualified in / JRF/ UGC NET/ ICSSR/ GATESLET/ CSIR/ ICAR/ FIP can be admitted at any time of the academic year into Ph.D program. Date of examination: 10th February, 2013, 10.00 a.m. 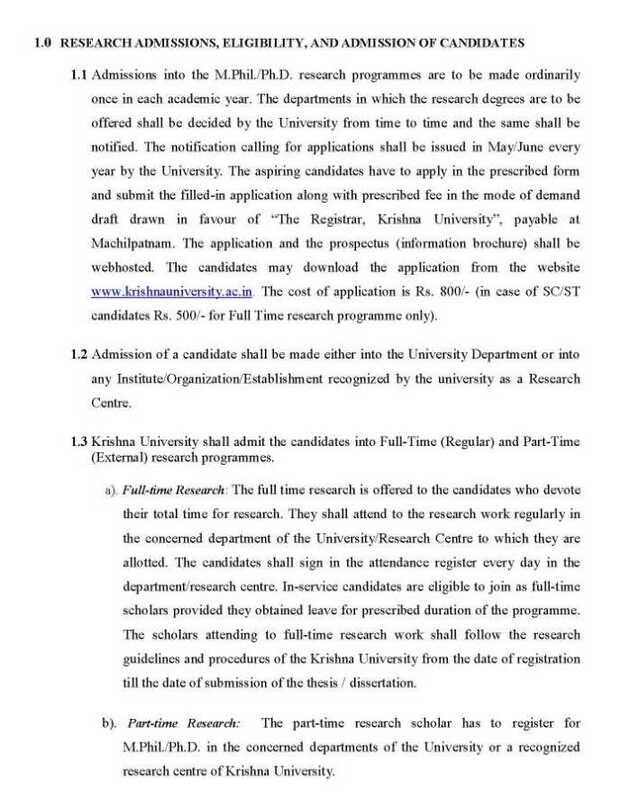 I have completed my PG degree and want to do Phd degree from Krishna University and for this looking for the Phd admission details of this University. Will you please provide me all the details related to doing Phd from here also provides me University address? Krishna University is taking admission in Full Time and Part Time PhD programs for this session. PhD are offered under the following departments. 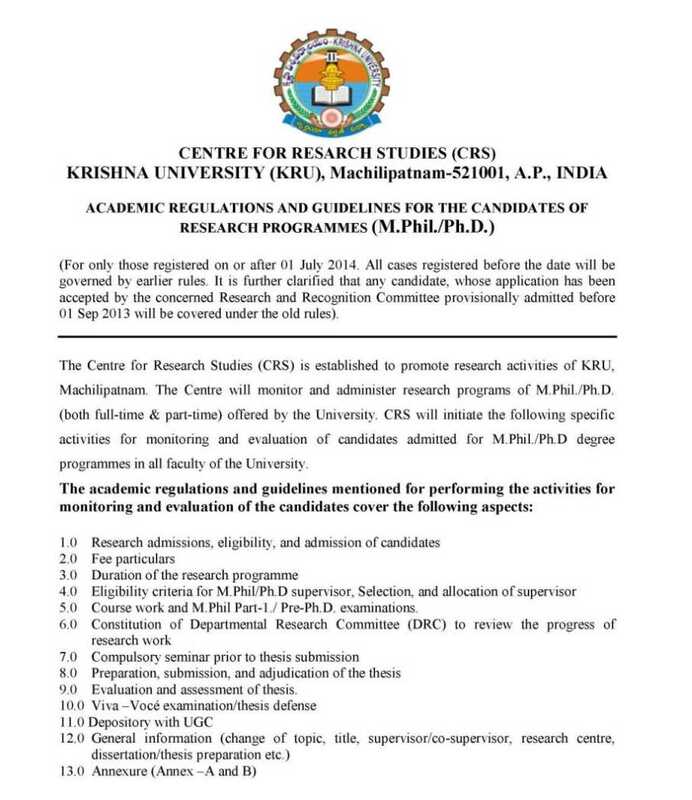 Candidates having postgraduate degree from Krishna University or any other recognized university or institute with 55% marks in aggregate or equivalent grade may apply.